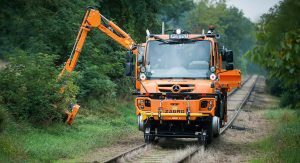 The Unimog was first introduced by Mercedes-Benz in 1947 and, despite its age, clearly remains as utilitarian and versatile as ever. 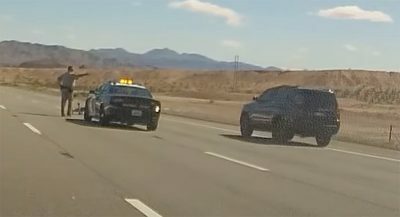 So far, we’ve seen it used as a go-anywhere firetruck, a luxurious RV, and everything in between. 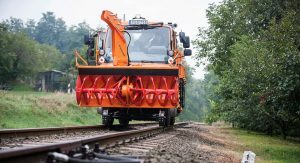 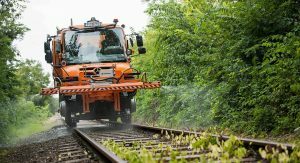 Now, the German brand has introduced a selection of Unimogs that can be used on train tracks. 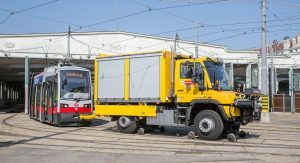 On display at the InnoTrans show in Berlin, these special Unimogs are equipped with a bespoke new drivetrain featuring a combination of a torque-converter clutch and hydrostatic traction drive. 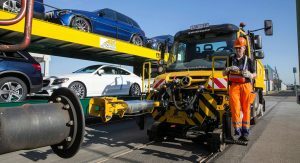 This allows them to pull loads of up to 1000 tonne and means they can be used for a host of different applications. 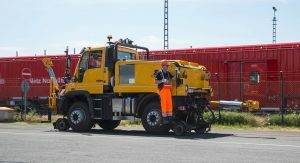 The first of these special Unimogs is the U430. 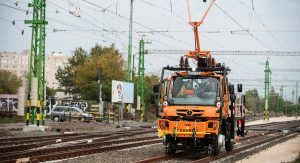 This vehicle features a Mulag rear arm that can be used by rail infrastructure operators or service providers for clear cutting work along the tracks. 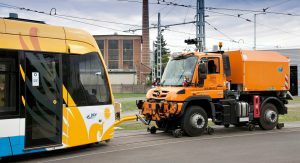 Also displayed is the Unimog U423 shunting vehicle. 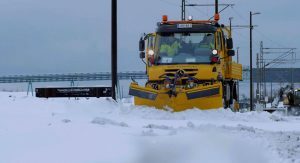 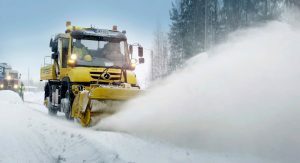 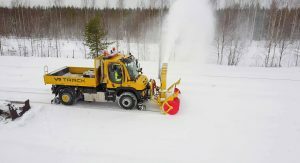 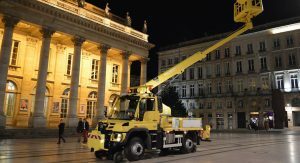 With a towing capacity of 1000 tonne, it can be equipped with a snow cutter or a mounted crane. 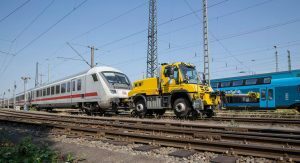 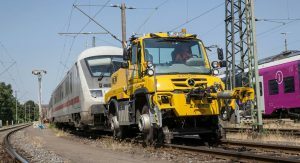 It also includes radio remote control and Mercedes-Benz says can perform tasks at a much cheaper and more efficient rate than traditional shunting locomotives. 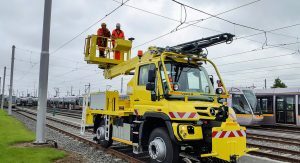 Another Unimog created is outfitted with an elevated work platform that’s perfect for maintenance of overhead lines. 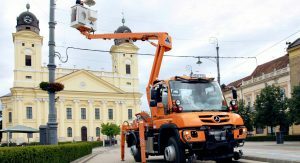 Thanks to a remote control system, the Unimog can be moved from the elevated work platform, allowing workers to perfectly position the vehicle for any work they need to do. 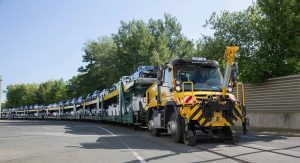 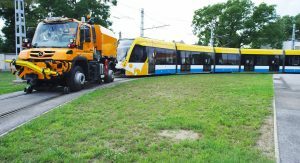 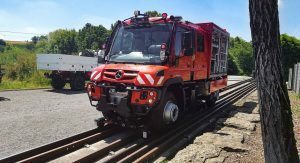 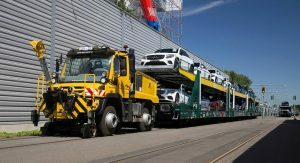 Finally, Mercedes launched the Unimog U423 support vehicle, which is capable of towing a rail vehicle that has gone off the tracks. 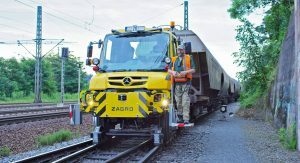 They’ve just made a train. 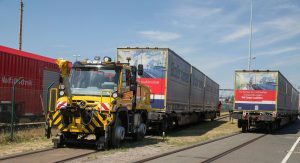 Unimogs are on rails for decades.